Back by popular demand, WCCX #2 will be held at the Ludwig's Corner Horse Show grounds. For those who did this race on October 14th, you know this excellent venue will challenge both your mid season fitness and your cross handling skills...but don't worry...we'll be changing the course to keep things fresh and interesting. This location has special history...utilized by Wissahickon Cross (including UCI races) for several years last held in 2009. We will incorporate many of the features of the Kelly Cline designed course with some 2018 modifications! 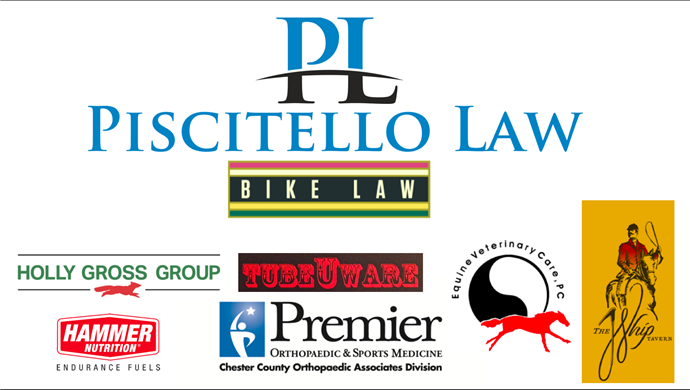 Come on out and experience or relive that special PA cyclocross history! Conveniently located just north of the PA Turnpike on Route 100, this classic cyclocross course will include two sets of barriers and variable terrain mostly grass, with some pavement. The 1.8 mile closed course is great for spectators, with the entire course being visible from the promanade hill. Course will be flowing and challenging, making use of natural run-ups, off cambers sections, and lots of cornering. The second year at this venue promises to be even better than the first...and yes...the course is designed by “angry” Bob Reuther, local cross legend and long time advocate of local cycling...so you know it will be AWESOME! Special Notes: As in the past years, this race serves as a fund raiser for local high school athletic teams. · Pre-registration will be open on bikereg.com until October 13, 2017 11:00PM. · There is a $10 late fee for day-of registration. · Day of Registration and sign-in will be open at 8AM and will close 30 min prior to each race. · A USAC license is required to participate in this race, day-of and annual licenses will be available for purchase at registration. · Additional races - only $10! · Registration price includes $3 USAC insurance fee. · Yummy concessions provided...so bring extra $$ and enjoy some great food. We're also working on a beer vendor...so stay tuned for updates. · Call-ups will only be awarded by promoter discretion. We will try to utilize current PACX series standings or 2016 final standings. Lapped riders will finish on the same lap as the leaders. Riders in danger of being lapped must yield to oncoming racers and are not to interfere with their progress or trail behind them. A double sided pit will be marked and available approximately halfway through the course. If riders enter the pit, they must make some sort of exchange or mechanical adjustment. Results will be posted at the registration area. Results will be made final 15 minutes after being posted. Podium, awards, and photos will occur roughly a half hour after each race. · The course will be open for inspection and warm-up at approximately 8:00am. · Every racer must have an approved helmet. · Mountain bikes will be allowed WITHOUT bar ends. · Check out our Website for updates and photos! The Promoter reserves the right to combine categories, change times, etc.